Transport Models - 1955 Tri-ang Daimler Sports "8"
1955 Tri-ang Daimler Sports "8"
24/5/2012. Haynes Motor Museum Sparkford Somerset. 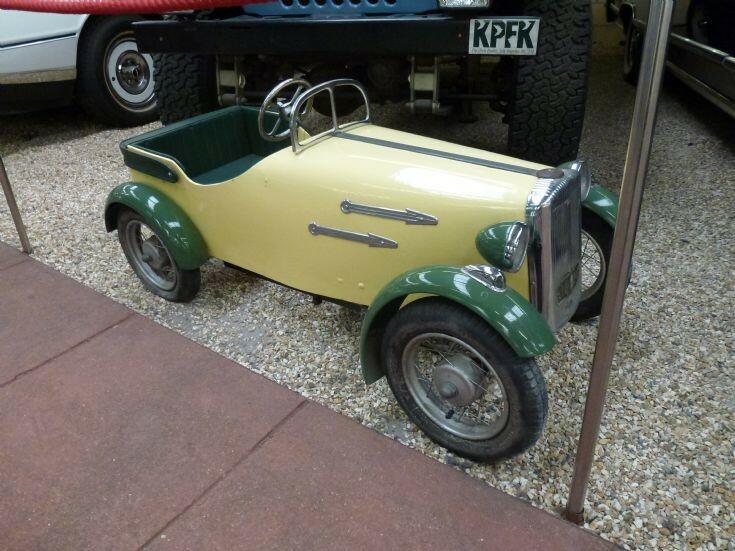 Lightweight, coachbuilt body, upholstered leathercloth seat and four-bearing, independently sprung rear axle and it's a pedal car and very expensive. 1955 Tri-ang Daimler Sports "8". Added by Gordon douglas on 06 October 2018.